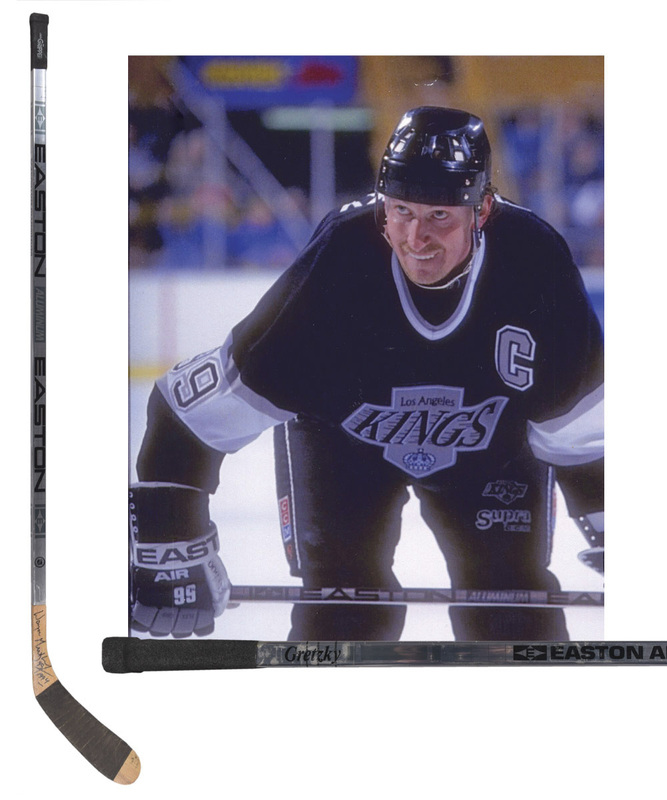 Originating from a memorable and historic season that witnessed Wayne Gretzky net an impressive 130 points – his final 100+ points-season – along with scoring his momentous 802nd record-breaking career goal, we have a signed stick used by The Great One in 1993-94. 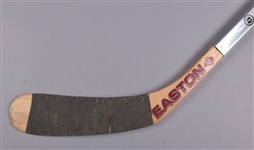 An Easton Aluminum 5100 Pro Balance model, “Gretzky” factory graphics are present over the upper shaft, with “Gretzky” also stamped on the inserted blade’s stem. 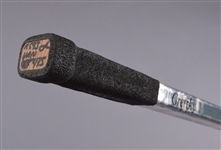 Sporting the original baby-powdered black tape over the blade and Jack the Gripper accoutrement over the handle, light but definite use is exhibited, with marks and wear over the blade along with a few additional marks to the shaft. Wayne has signed over the front side of the heel section in black marker adding “1994”, and the signature is flawless. 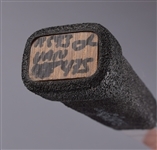 We should note additional handwritten marks over the top of the knob by Kings Equipment Manager Peter Millar of "RS93 VAN 475", with this code basically stating RS for regular season, along with 93 for the year, and VAN for Vancouver.